Happy Earth Day! We love this holiday, because it’s our chance to give back to nature and celebrate the environment. Plus, it’s a great excuse to spend the whole day outdoors, and who doesn’t love that? Today we’re sharing some easy, fun ways to be involved and celebrate Earth Day – and some can easily be done all year long! Pay Online. We all have bills – and if you’re not already, you should be paying utility and credit card bills online. Save some trees by having your statements emailed to you each month and utilize the websites of your bank, cable company, and utility provider to pay the bills. There are even some apps that allow you to pay your bills directly from your smartphone. Plant a Tree. It’s likely the most common way to celebrate Earth Day, but that doesn’t mean it’s any less needed. Planting a tree is much easier than you think, and it can go a long way to help preserve the environment. Don’t feel limited to planting a tree, either – you can plant bushes, flowers, and even a container garden. They’ll all make your space greener and more beautiful, plus will absorb CO2 from the air. Don’t have a green thumb? Succulents are a great choice and are easy to maintain. Try Reusable Bags. Here in California, we use them all the time because we’re the first state to enact legislation imposing a statewide ban on single-use plastic bags at large retail stores. Reusable bags are great for the environment, and for all our Speck fashionistas out there, they are available in some pretty stylish patterns and prints. Grocery shopping is boring, but not when you have a fun bag to bring it all home in! Turn Out the Lights. This is the easiest tip ever and an effective way to help the environment: turn out the lights when you leave a room! It’s that simple, and you can save yourself some money on electric bills, too. If you want to take it a step further, try unplugging appliances and other items when they are not in use. Get Some Fresh Air! Earth Day is all about giving back to the planet, so why are you reading this indoors? Some of our favorite ways to enjoy the outdoors are to go hiking in a beautiful area or trail, having a picnic outside or dining al fresco or taking in a baseball game or other outdoor sporting event in the area. Have to work? Bring your laptop outside and get some work done in the open air! Want an extra challenge? Make a commitment to spend an entire day without using your car. Try walking, biking or using local transportation like the bus or train to get around. It can be difficult in some areas, but it’s possible, we promise! Even better? In addition to reducing your carbon footprint and saving yourself some green on gas, if you walk or bike to your destinations for an entire day, you’ll be getting a great workout, too. 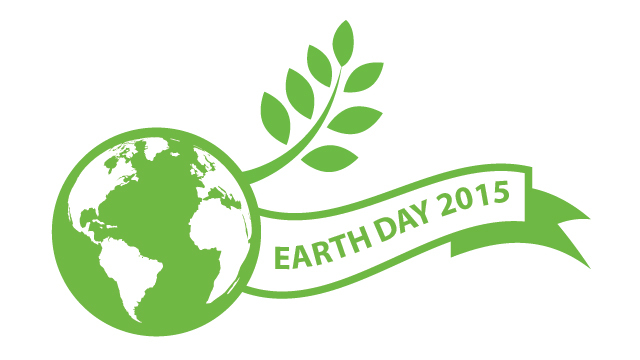 We want to hear from you: share how you are celebrating Earth Day below!